In geography, an oasis or cienega is an isolated area of vegetation in a desert, typically surrounding a spring or similar water source. 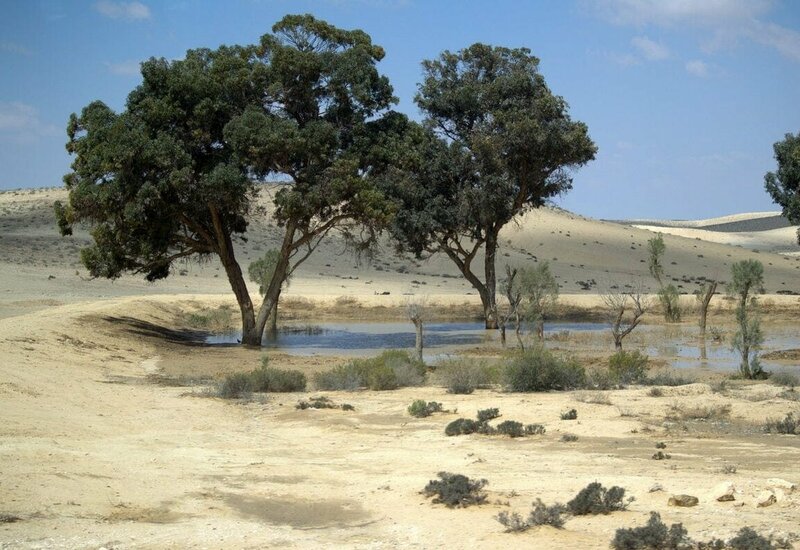 Oases also provide habitat for animals and even humans if the area is big enough. The location of oases has been of critical importance for trade and transportation routes in desert areas. Caravans must travel via oases so that supplies of water and food can be replenished.